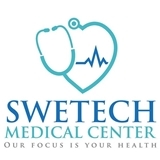 Swetech Medical Center (Clinton Township) - Book Appointment Online! Dr. Jon Swetech, a native of Clinton Township, is available for all your primary care needs. He is an expert at managing chronic conditions in all ages and is specially interested in sports medicine and dermatology. He believes in prevention and lifestyle changes over medication when possible. He is board certified in Family Medicine and Osteopathic Manipulation. We also offer PRP and Prolotherapy in appropriate cases. Be advised, failing to bring valid identification+insurance card or arriving 10 minutes late will results in a no-show. Please verify that we are in your insurance network prior to arriving and if necessary, change your PCP accordingly.